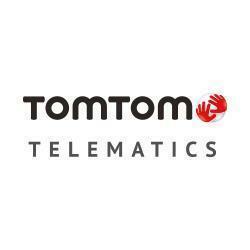 TomTom WEBFLEET is an online application that allows you to manage your fleet 24/7 from any PC with features and functions to help you manage your field operation from your desk. Tookan is a fully customized on demand delivery application for driver and provide end to end solution to delivery business. Streamline the delivery operations by connecting delivery agents to customer and route manager. Agents can plan the deliveries, receive notifications for pickup & delivery and get optimize delivery route. Real time tracking of agent and customer chat engage the customer with the delivery platform. Manage rating & reviews, real time agent tracking & status and manage agent performance through manager’s dashboard. Take control of all your delivery business operations by managing number of deliveries, delayed & cancelled orders and monitor delivery time. Easy integration of existing management portals and website to Tookan. 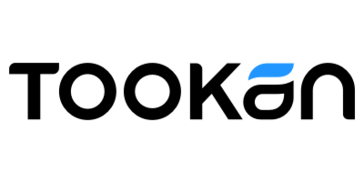 Connect Tookan with various applications using Zapier. Boost profit and efficiency by automating the delivery, dispatch and tracking tasks. Try Tookan for 14 days free trial and free forever plan for upto 300 tasks & 3 agents every month. 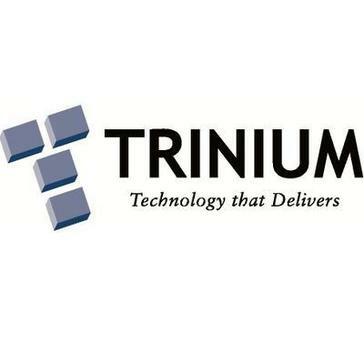 Trinium-TMS is a transportation management software that allows you to automate your processes from order receipt to customer service to operations and billing and driver settlements with features to help you manage your business. UltraShipTMS offers software-as-a-service solutions to shippers in food production, packaging, manufacturing, retail and other industries. Gain 24/7 visibility on GPS location, monitor driver behavior, and access detailed reports from any device with our real time GPS tracking software. Simply install your device, login to your dashboard and stay alerted on what matters most to your business. Accelerator is a fleet maintenance software that enables scheduling, organizing and recording regular servicing. Making it easy to carry out mandatory inspections, record and correct reminders and driver defects and maintain comprehensive details of all servicing, repair work and parts fitting. Access Unlimited is a service dispatch software helps to maximize the efficiency and productivity of any concrete, aggregate, block, concrete products or producer. AGILIS is an integrated real-time equipment dealership software that has what you need to run your business in one system with modules including part management, equipment sales, rental management and more. Powered by next generation technologies and innovation, ALTAIR+ is the smartest most innovative intelligence-led transportation and fleet management solution for businesses and governments worldwide. ArcFleet is a trucking dispatch software system that helps you manage your business from initial lead tracking, creating load orders, trip reports, driver settlements and accounting, with the ability to help track all aspects of your business. AssetPro360 is an industry leader in the design, creation and implementation of leading edge custom telematics solutions. Astra is a 24-7 live-tracking app in Android and iOS platforms with GPS/GPRS technology that provides accurate information on the location of school buses and sends instant alerts upon overspeed, route deviation and more. The RFID based validation supported helps track student attendance in buses. AusFleet's mission is to help people manage their fleet, workshop, hire and inventory with professional, affordable software. autoMinder is an integrated, easy-to-use fleet management software solution. A comprehensive solution platform for all your vehicle tracking needs. AUTOsist is a mobile fleet tracking & maintenance software which enables fleet management companies to track fuel & maintenance records simply & effectively. AVLS Software System is a fleet management software solution that is designed to control the cost of user training and allows administrators to control what users can do and see within the application. AVLView on amazon cloud tracks vehicles on map, monitors fuel usage, helps cut operational losses in half, and improves fleet/driver productivity. It gives instant alerts on events to improve green driving, timely delivery; automate trip schedule & notify you on vehicle maintenance. Improve the visibility and quality of your delivery process and increase customer satisfaction with Beetrack’s shipment tracking and parcel delivery solutions. Beetrack is a logistics software providing transparent package tracking solutions for companies and customers worldwide. We enable companies to provide customers simple package tracking and offer complete visibility of the delivery process. BE-Fleet is a warehouse management software that is a web-based fleet maintenance program targeting forklifts and other material handling equipment. Best OnLine Tracking is an integrated, web-based dispatch system for fleet and freight solutions with freight-based rules, automated dispatch, data capture and analytics, load pooling and more to help you manage your business. Mobisoft Infotech offers a custom trucking app for on-demand logistics. The vehicle tracking solution that delivers more. Borg Fleet brings it all together from fleet maintenance management (FMM) to fleet resource planning (FRP), all through a simple website to your business. Infinity Software Solutions serves a variety of transportation intermediaries, agents and shippers throughout North America. ISS has been changing the face of Transportation Management Software for nearly 20 years. Over 550 customers and counting have learned how our software products simplify daily workflow, streamline operations and reporting, making their business more profitable and valuable. A sampling of Btracking's terrific GPS Tracking customers spanning the USA, Canada, Australia, Europe, Asia, and around the globe! Mobisoft Infotech offers a customizable bus booking app and ticketing system designed for bus operators to automate operations, get more direct bookings, increase brand recall and improve revenues. AXIS Emergency Road Service (ERS) is a comprehensive automated dispatching system that provides timely and efficient roadside services to AAA/CAA members, clients of the association's Roadside Assistance Partners (RAP), such as car manufacturers and commercial clients. It strengthens service fulfillment processes with Campana’s digital dispatching, member notification and mapping tools for greater control and efficient call handling. Fleet management for a smarter world. Tap into the most advanced telematics system available to the modern business owner. Gain immediate access to fleet stats and take control of operations. CarStater is a web app where you can log everything about your car/vehicle/fleet maintenance expenses simple and paper-free. CarStater gives you everything you need to manage any type of vehicle, whether you have a car, truck, campervan, yacht or even personal airplane! Our software is suitable for fleet management of any size for any business type as well. Signing up and registering your first vehicle is and always will be free. Catch-e is a cloud based fleet leasing, salary packaging and fleet management software system. It is complemented by staff who have a depth of fleet management industry experience. Our business knowledge and insights will enhance your systems and processes. Cellcontrol is an award-winning platform that uses our patented hardware, DriveTag, in the vehicle, and our mobile app on the driver's phone to prevent access to distracting applications behind the wheel. The C-Suite has been created from the ground up to meet the needs of logistics and SCM professionals. It is technology that works because it has been designed without compromise. CerebroX is an advanced fleet management solution to keep tracking, monitoring & dispatching your vehicles in real time. The platform helps your business to quickly narrow the operational cost & maximize your profit. Chaskify allows users to take customer satisfaction to the next level with cost-efficient robust features including real-time delivery tracking, seamless communication, and built-in analytics. 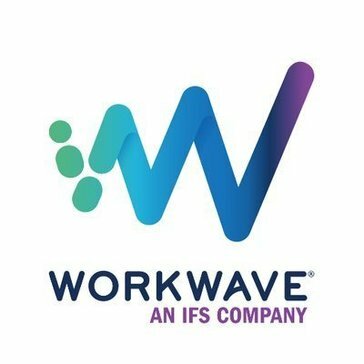 Chevin FleetWave is a fleet management software for enterprises.